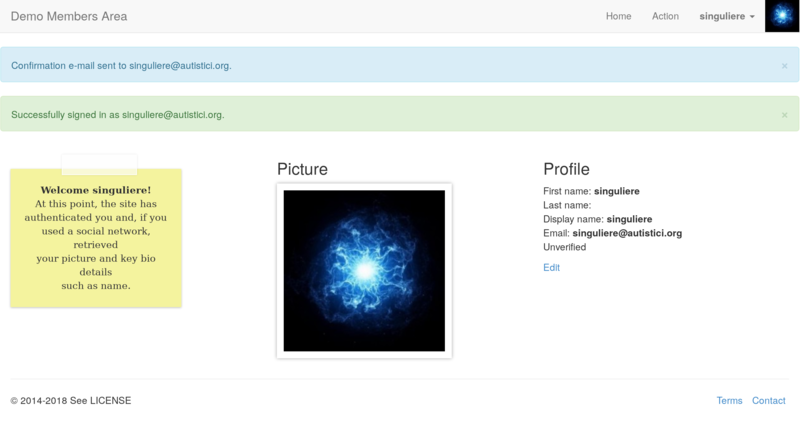 django-allauth has support for GitLab and is tested to work with the demo. It does not work out of the box but does not require code modification. The manual steps for the first time setup are described below. When this is done, lab.enough.community users can create an account on the demo server. A token could then be displayed for them and they could use it to authenticate via the API using the django-rest-framework TokenAuthentication. 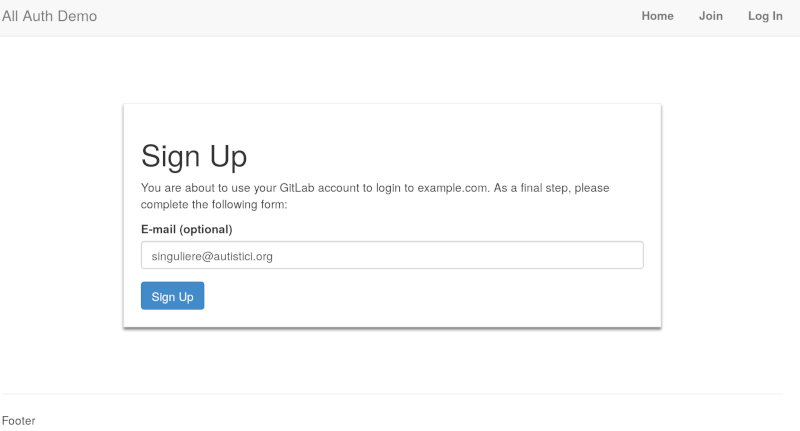 One pending question is how to restrict authentication to users that are members of a given lab.enough.community group. Probably with a django permission class? 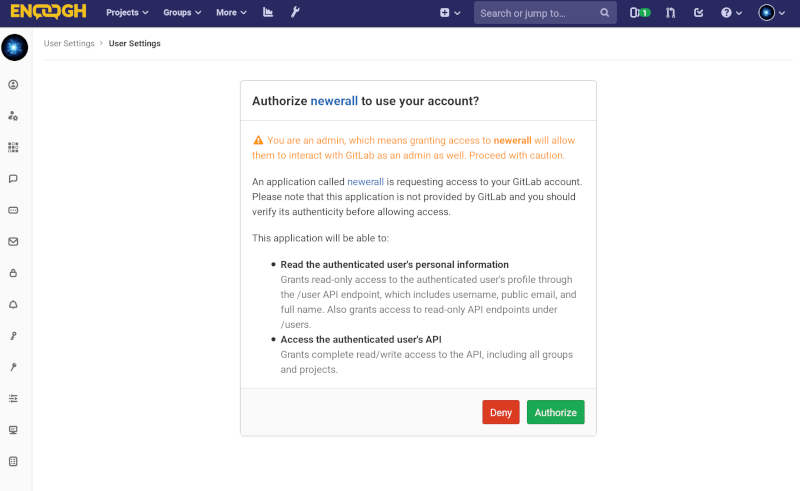 The api.enough.community server could be set to only allow authentication via lab.enough.community, granting access to the API to anyone with an account on lab.enough.community. A token can be obtained for each user known to django. 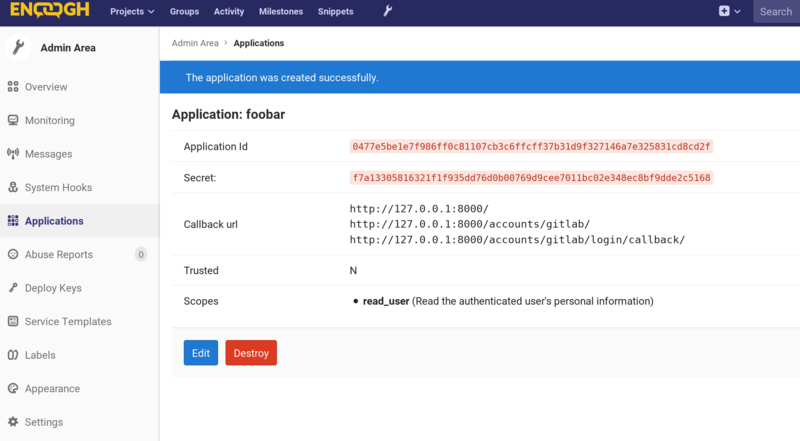 The permission we need could lookup the lab.enough.community token (field token in the socialaccount_socialtoken table) for the user and use it to check if they are a member of the main/infrastructure project. 'user': str(request.user),  # `django.contrib.auth.User` instance.